In my previous review of Evangeline Lilly's The Squickerwonkers, I mentioned that as part of our Christmas gifts JG and I gave each other books. One of the books I gave to him was Adam Mansbach's Go the F**k to Sleep. It's a hilarious short story that outlines a father's attempt to put his young child to bed. As parents we love our children to pieces but there are just some things they do that elicit a curse word here or there... or in our case every night. Mini JG, our lovely three year old is amazing at everything except for sleeping. On a good day it takes us 45 minutes to put her down, on a bad day which happens about 2-3 times a week - 2 hours! 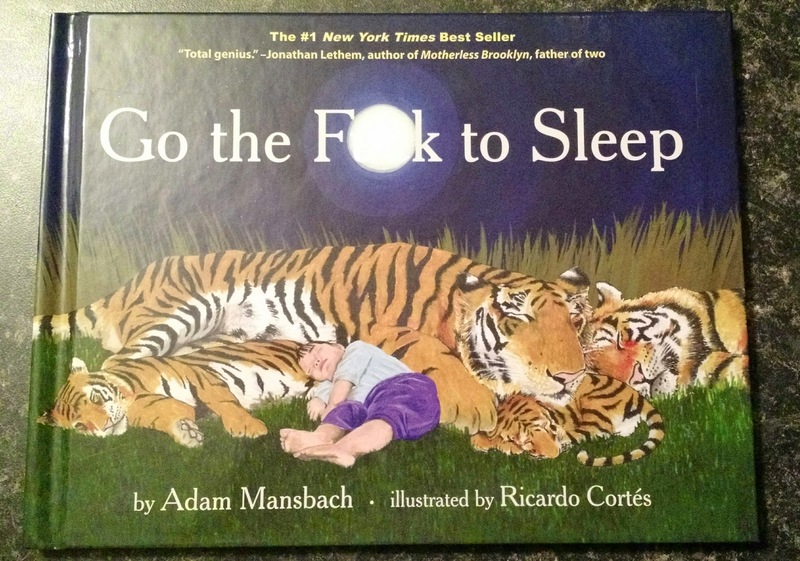 Adam Mansbach's book accurately outlines our nightly routine which always includes a book, a request for a drink, a bathroom break (even though she went before we read the book) and of course the jump out of her bed when we thought she was as sleep to see what mom and dad are doing. I highly recommend this book to any parent, especially those who have babies/toddlers. I guarantee you'll find at least one page to relate to and well if reading it just isn't enough for you, there's also the option of picking up the audio CD narrated by Nick Fury himself, Samuel L. Jackson. Adam also has a follow up to this book called, "Why Won't You F**king Eat?". I'm definitely going to head over to Chapters to pick this one up too. For those interested, the audio CD for this book is narrated by Bryan Cranston a.k.a Breaking Bad's Walter White.